DHAHRAN: Saudi Aramco and Schneider Electric Saudi Arabia have signed an agreement to pursue a variety of Fourth Industrial Revolution (4IR) solutions under the Digital Transformation Program led by Saudi Aramco’s Technical Services. Ahmad A Al Ghamdi, manager of Saudi Aramco’s Process and Control Systems Department, signed the memorandum of understanding (MoU) under the Digital Transformation Program led by Technical Services senior vice president Ahmad A Al Sa’adi. Najib A Al-Naim, president of Schneider Electric Saudi Arabia, signed on behalf of Schneider Electric. 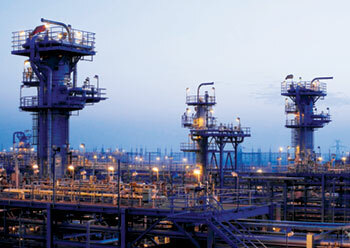 The MoU covers a wide area of topics thought to be disruptive to many industries, including oil and gas. The topics include Augmented and Virtual Reality, the Industrial Internet of Things, Big Data, Advance Analytics and 3-D Asset Virtualisation. It will also look into power management systems and integrated manufacturing operations management. with Royal Dutch Shell and Malaysia’s Petronas worth around $1 billion for 8 wells in the country’s West Nile Delta, the petroleum ministry said. The country also signed a second $10 million deal with Rockhopper, Kuwait Energy and Canada’s Dover Corporation for exploration in the Western Desert, a ministry statement said. 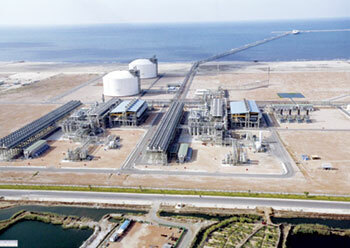 Egypt aims to be a regional hub for the trade of liquefied natural gas (LNG) after a string of major discoveries in recent years including Zohr, which holds an estimated 30 trillion cubic feet of gas. 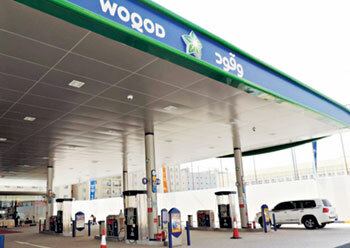 DOHA: Qatar Fuel (Woqod) said it has floated tenders for the construction of four new petrol stations on the Orbital Highway and also for development of a new truck road that will connect Mesaieed, Hamad Port, Dukhan, Lusail and Al-Khor areas. The tenders were floated after close co-ordination with the Urban Planning Department of the Ministry of Municipality and Environment, the Public Works Authority (Ashghal) and the Ministry of Transport and Communications in the selection of sites for those stations, said a statement from Woqod.